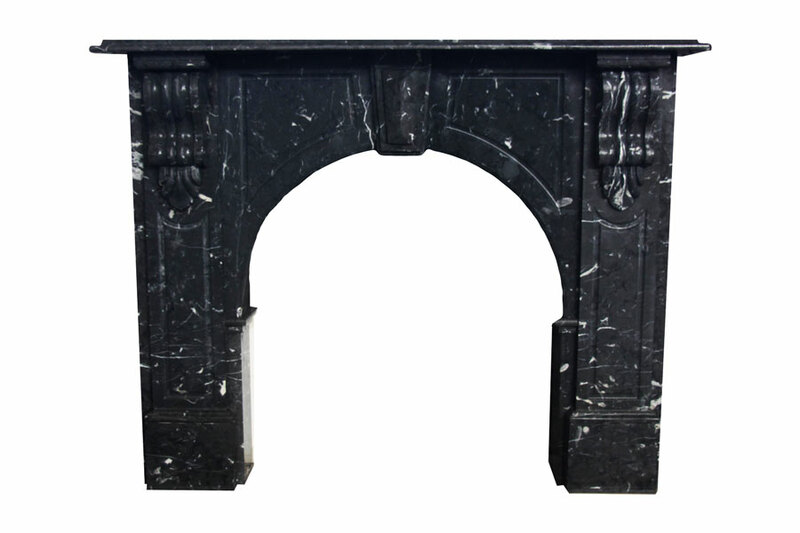 Victorian style arched fireplace made of Black Marquina marble. 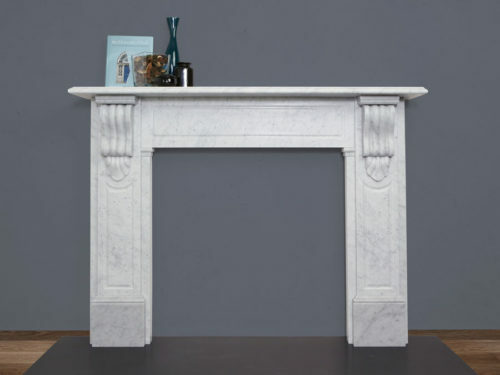 Exquisitely made arched fireplace with Victorian detailing typical of the period is an example of excellence. 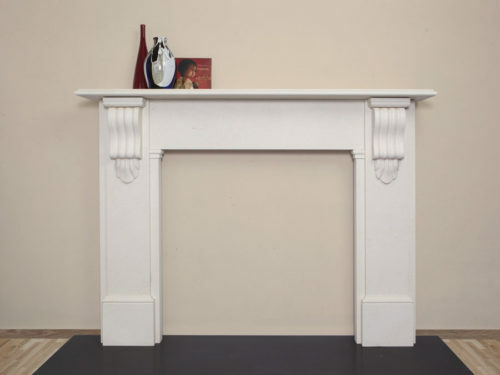 Kingston has carved corbels and drops which support the lamb’s tongue mantel shelf. The bullnose returns create more elaborate look. The fluting covers arches and panels. 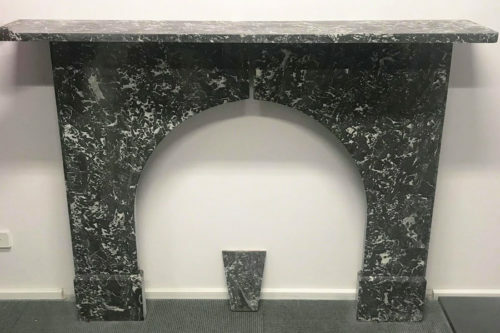 The fireplace is made of Black Marquina marble.